Today’s exclusive free PSD submission comes from our friends www.bestpsdfreebies.com. 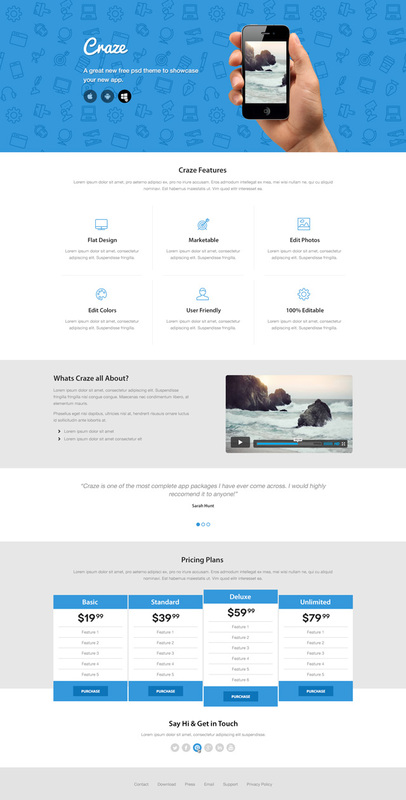 Craze is a trendy landing page for your next product or service. It comes complete with a fully layered psd file and can be edited to fit anyone’s needs. PSD buttons, buttons buttons!!! We all love them and cannot get enough! So here are a couple more Photoshop (PSD) buttons you can add to your design stockpile!